Alella is a quiet and charming village on the coast of the Maresme, located in a mountainous area about 2 km from the sea and 18 km from Barcelona. Surrounded by vineyards enjoying beautiful views of the Mediterranean Sea. In the surroundings of Alella, there are different farmhouses, some of the 14th century. Special tourist interest is the parish church of Sant Fèlix of Girona with Romanesque style and with subsequent Renaissance renovations, Antoni Gaudí designed a project for the chapel of the Blessed Sacrament, but failed to perform, is preserved in the parish Museum original sketch. Eerie and exciting is the neoclassical building of the Pious Schools or Cal Governor, must-see, both for its beauty and the exuberance of his time. If you like wine, the Mediterranean, as well as its cuisine and quiet landscape, Alella is a good place to live and enjoy a comfortable and relaxed life without giving up the exclusive of the city of Barcelona. And even if it is a quiet and pleasant village, every month there is some festivity to celebrate. It is a privilege to enjoy the advantages offered sea (only 2 km) as of the mountain. The wine-growing tradition makes its came dominance of origin, DO Alella, enjoyment of good reputation. The town turns in its wine-producing tradition strengthening wine tourism. Thus, you can enjoy thematic tastings at the Enoteca, guided visits to the different wineries and menus in the different wine-growing festivities. On the web page of the city you will find all the information you need about events that take place in Alella. As well as on wine tourism and the Natural Park of the Serralada Litoral. It produces wines of high quality mainly with European noble strains, which have had a perfect acclimatization to the conditions in the area. Playing with the name of the family farm, Can Boquet, and the term bouquet, the French word designating smells that follows wine, Bouquet D’alella pushes on the one hand the production and sale of quality organic wines, and on the other the promotion of wine experiences with a commitment signed by wine just 15 km from Barcelona. Only 14 km from Barcelona they have planted near 50Ha of vineyards between young and old thanks to which produce about 80% of the required grapes for their wines. 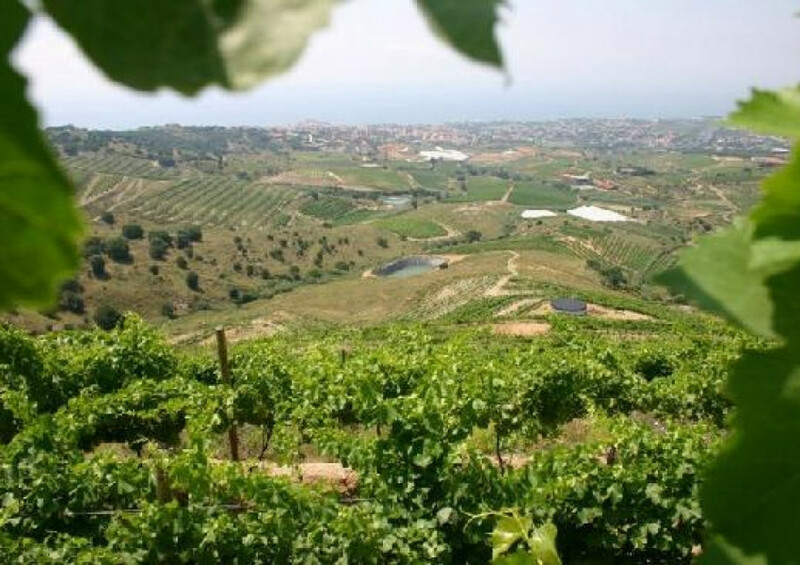 With the guided visits to the cellar, there is also the possibility to take a stroll through the vineyards along the Valley of Rials, with a spectacular panoramic sea view, vineyards and the city of Barcelona. Located 2 km from the Mediterranean sea between the towns of Alella and Tiana. It is the closest to Barcelona Winery and its organic wines are present in letters from some of the best restaurants in the world. Els Garrofers is a market proximity restaurant. It uses local organic vegetables, meat quality and proximity and wild fish. Charming restaurant located in a privileged place, with extraordinary views. Specialists in Catalan-French cuisine, have various specialties of the chef notably duck. “Can Cabús” La Masía of Alella, it is a spectacular country estate, surrounded by impressive gardens, rustic and elegant style. The facilities include ample parking space. The views are breathtaking, surrounded by vineyards and on the horizon the sea looks. The restaurant offers a menu of traditional Catalan cuisine and menus for groups. Any family or company celebration has ensured success. La Vinya Restaurant offers pleasant surroundings, where you can enjoy Mediterranean cuisine. Given its location, the restaurant has excellent views of the sea. Dedicated to the celebration of all kinds of events, weddings, conventions, meetings and family gatherings. A unique spot, among vineyards and pine trees, overlooking the sea where you will feel the charms of the privileged region of Maresme. Light, color, sun and breeze marina merge with cuisine to make your celebration unforgettable. Cuisine based on products, in a development taken care of dishes and measured advice about its more suitable pairing with a chosen and extensive selection of wines.